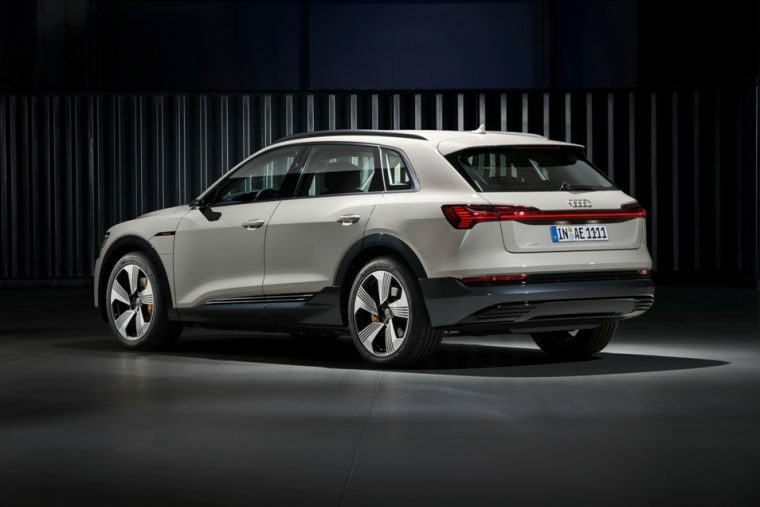 Earlier this week, Audi unveiled its fully-electric Audi e-tron. This five-passenger SUV is designed to take on the growing market for SUVs and crossovers while still promoting green driving. 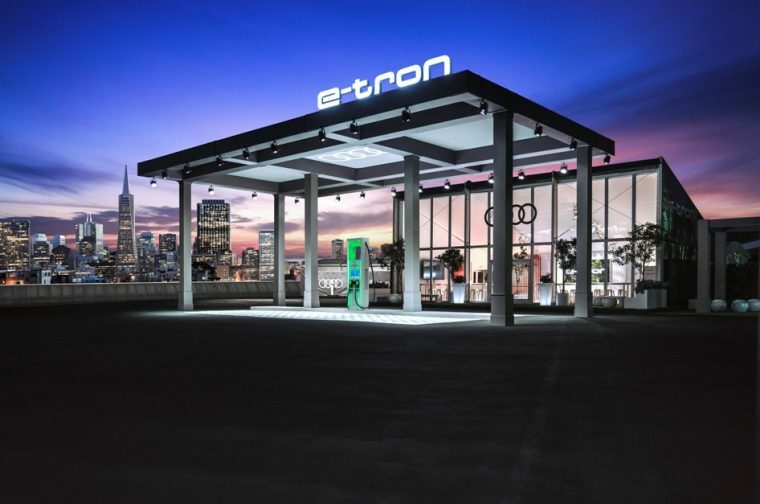 Most manufacturers wait for a major auto show to unveil new products, but Audi decided to take the Audi e-tron’s big debut to the next level with the Charging Station Unleashed experience. From Sept. 17-22, Audi opened up what is basically a small museum to show off its latest vehicle. Charging Station Unleashed looks like a futuristic version of the gas station. Instead of a row of gas pumps outside, a single green electric charger stand keeps watch out front. It is equipped with two chargers from Electrify America for current electric car owners. For the rest of the experience, visitors proceed into the building behind the charger. While in a traditional gas station the building accompanying the pumps is a convenience store with guilty pleasure snacks and drinks, for this event it was transformed into a completely different world of luxury. The whole experience is also controlled with social currency, as visitors get outfitted with LED bracelets when they arrive that allow them to access parts of the exhibit with social media posts. Promoting Audi on social media is well worth it, even just for the menu from James Beard award-winning Chef Stuart Brioza and Chef Nicole Krasinski from State Bird featuring “electric provisions.” Guests also can climb on glowing LED swings and watch a kinetic energy capture installation, which shows how humans generate power through movement. The star of the show, the Audi e-tron, is in a prominent display alongside the Audi Formula E race car. Guests won over by the display can even make reservations onsite for their own vehicle (with a $1,000 deposit, of course). If you live in San Francisco, you have until the end of the day on Saturday to see this innovative exhibit. 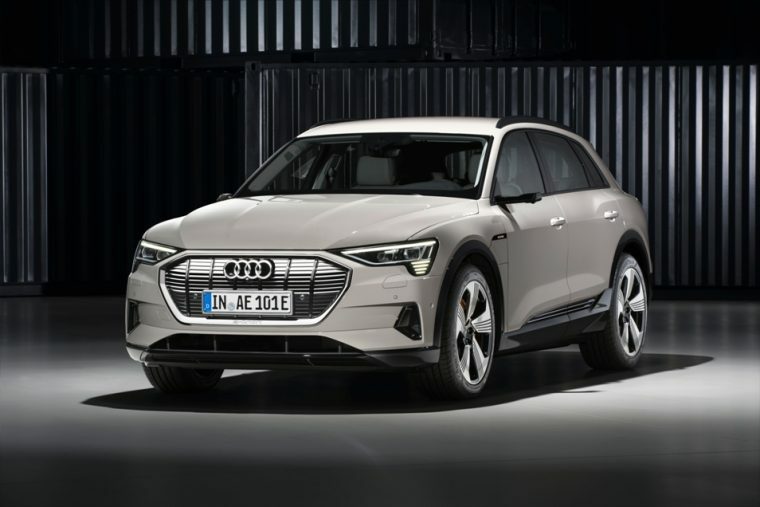 The rest of us outside of the city will have to wait to see the Audi e-tron when it rolls out across the country in mid-2019.